Two guys podcasting about the obscure side of Japan you haven't heard about but probably should. Subscribe on iTunes or the Google Play store using the links to the right. It’s not often that I come across a new anime/manga series that I like, but when I do, I become obsessed. Point in case, Tonkatsu DJ Agetaro. A few months ago, I walked off the elevator at LOFT in Shibuya and was greeted with old school beats and raps on a 40 second loop. Shocked that I wasn’t hearing mundane J-pop, I rushed excitedly to see where the funky breaks were coming from. Low and behold, there was a small corner of the department store set up with merchandise for what I would soon find out to be the best anime in quite some time. While the drawings/animation are childishly simple, the show captures the vibrant side of Shibuya rarely touched upon since the 90s. 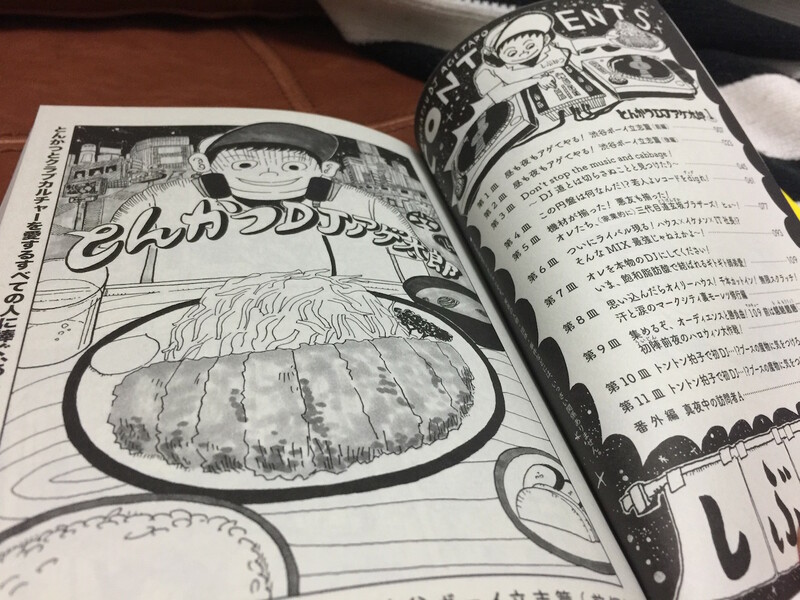 The basic idea of the story is about a kid who has to balance his day job as a tonkatsu chef with his secret passion for DJing. Even if you don’t normally like anime, I strongly recommend checking out the English episodes on Youtube!